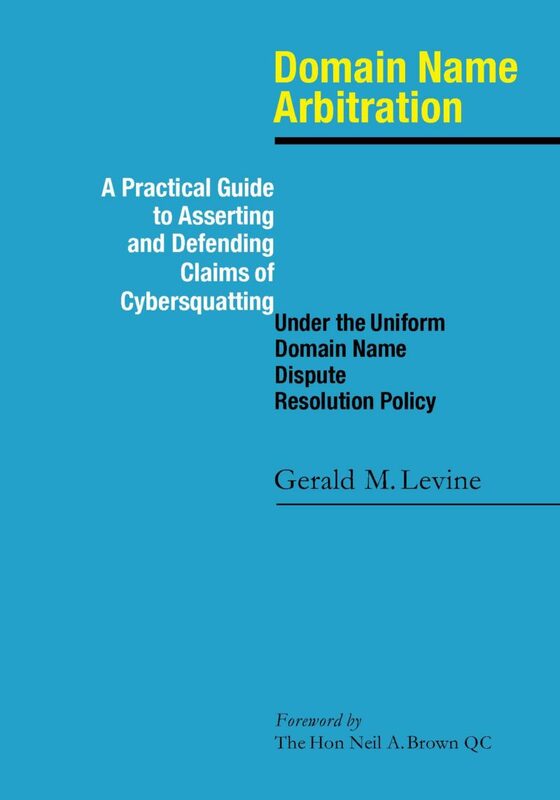 Legal Corner Press, LLC announces publication of the Second Edition of the Domain Name Arbitration: Asserting and Defending Claims of Cybersquatting Under the Uniform Domain Name Dispute Resolution Policy, by Gerald M. Levine with Foreword by Hon. Neil A. Brown QC. Publication date print edition December 2018 ($185), e-book edition shortly thereafter. 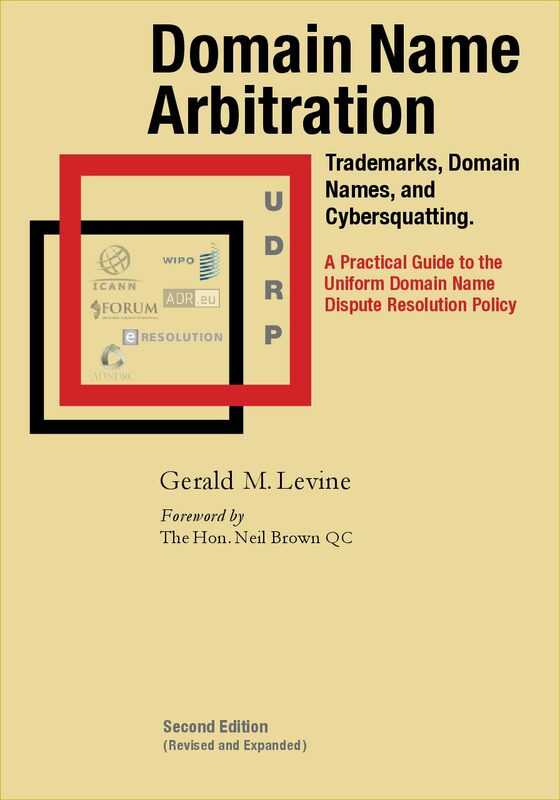 Gerald M. Levine is a New York City based intellectual property, commercial litigation/arbitration/mediation attorney, admitted to practice law in New York in 1976. He has a Ph.D from New York University and a J.D from Brooklyn Law School. He has published numerous articles in the fields of Internet law and is the author and co-author of a critically received website featuring domain name analysis, copyright, trademark and publishing law. His other writings include articles on trademarks, domain names, and cybersquatting; represents and counsels clients on rights management in copyright and trademark. He is a neutral panel member for commercial and IP arbitrations for the American Arbitration Association; and panel member for mediation with the New York Supreme Court, Commercial Division and the United States District Court for the Southern District of New York. Hon. Neil A. Brown, QC has had a long and distinguished career in the Law and Government. He was a member of the Australian Parliament from 1969 and a Minister and Shadow Minister in the Federal Government of Australia in five portfolios – Business and Consumer Affairs, Employment and Youth Affairs, Communications, Attorney- General’s and Foreign Affairs. Since 1964 he has practised in virtually every area of the law, mainly in commercial, construction and intellectual property matters and in 1980 he was appointed Queen’s Counsel.